The increasingly tyrannical nature of “hate speech” legislation and political correctness as well as the manner in which they are enforced has been highlighted by recent events in the United States and abroad in the West. On October 30, police in Eugene, Oregon arrested and chargedDamien Leon Ramirez, a 23-year-old student at the University of Oregon (UO), with intimidation after he reportedly hurled “anti-Semitic” slurs at members of Alpha Epsilon Pi (AEPi), an international Jewish fraternity with a chapter on the Ducks’ campus. Robin Holmes, vice president of student life at UO, condemned the so-called “hate crime” committed by Ramirez. In truth, though, what really happened was hardly worth a major incident. Given the current atmosphere of modern American college campuses, Ramirez had likely been drinking and a confrontation between himself and members of the Jewish fraternity ensued. As a direct result of political correctness and cultural Marxism, tyrannical ideologies institutionalized via mass media and mainstream academia in the West today, making mean or derogatory statements about non-whites, especially blacks and Jews, is now considered a crime in America. This reporter also spoke with Dr. Kevin B. MacDonald, editor of The Occidental Quarterly, a scholarly publication focusing on white identity and political interests. MacDonald was referring to the recent case of the colorful and politically incorrect French comedian Dieudonné M’bala M’bala, who has performed a variety “anti-Semitic” comedic skits and performances to large French audiences. In many of his more controversial performances, Dieudonné mocks the Jewish fixation on the alleged “Holocaust” narrative of WWII, which objective scientists, scholars, historians, and other professionals have systematically debunked and exposed as one of modern history’s greatest deceptions. In 2009, Dieudonné was convicted by a French court for “hate crimes,” resulting in a €10,000 ($10,750) fine. The French comedian challenged the ruling at the European Court of Human Rights (ECtHR), located in Strasbourg, France, which “rules on individual or state applications alleging violations of the civil and political rights set out in the European Convention on Human Rights,” according to its official website. On November 10, the ECtHR ruled against him, arguing “that laws on freedom of expression did not offer protection for anti-Semitic comments or statements denying the Holocaust,” The New York Times recently reported. Dr. Barrett found the prosecution of Dieudonné particularly disturbing. Dr. MacDonald is skeptical of the ADL’s commitment to free speech in America. The ADL was one of the most ardent supporters of the “Hate Crimes Prevention Bill,” which was passed by the U.S. Congress in 2009. The bill is also known as the Matthew Shepard and James Byrd, Jr. Hate Crimes Prevention Act, and received overwhelming support from the organized Jewish community as well as other minority lobbying organizations. 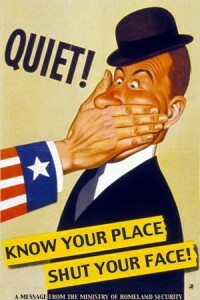 The bill is an absolute affront to the First Amendment and free speech in America. NB: This article was originally published by American Free Press on November 29, 2015. Subscribe to America’s last real newspaper today! Man targeted for holding politically incorrect beliefs. Los Rios comprises four separate community colleges in Sacramento and the surrounding region. Cosumnes River College, Folsom Lake College, Sacramento City College and American River College together make up the District, serving roughly 80,000 students. Cameron Weaver, 26, was elected to the position of Los Rios student trustee in an April election and has served in the position since June of this year. Prior to that, he had been in student government and even contributed to the school newspaper, the American River Current. 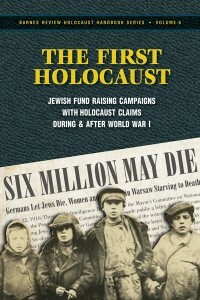 Numerous revisionists, including Don Heddesheimer, author ofThe First Holocaust: Jewish Fund Raising Campaigns with Holocaust Claims During & After World War One, have argued that the “6 million Jews” murdered at the hands of white Christian European peoples, a fabricated and false historical narrative officially institutionalized following the defeat of National Socialist Germany, has a long history going back well before WWII even began. “In these newspapers, there was a very conflicting thing I noticed: There was continual reporting that 6 million Jewish people were facing a lot of [suffering]—they were facing starvation, being evicted from their homes, over in Russia, and then three years later it changed to Ukrainia,” Weaverexplained during the interview. 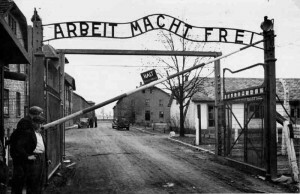 Weaver clearly distanced himself from people who say “the Holocaust didn’t happen,” arguing that he does not know all the facts of the matter, and just found the “6 million Jews” figure, which has been endlessly promoted and repeated by the mass media—even prior to WWII—quite revealing and worthy of open and honest discussion. During the highly edited audio interview released online, Weaver described himself as “very skeptical” of official government and mass media pronouncements, and presented himself as an independent and critical thinker. Weaver stated he believed Saudi Arabia played a key role in planning and executing the events of 9-11, which has been covered up and hidden from the American public. He also criticized the promotion of childhood vaccinations and stated “that antidepressants play a role in high-profile shootings—something he alleges the Food and Drug Administration may be covering up,” according to the Current article. “My top priority from this point forward is to work to rebuild those relationships, and rebuild your trust in me as someone who is worthy of the student trustee position, and who can intelligently and passionately represent our students on the Los Rios Board,” Weaver wrote to school officials. While some members of the student government, including the student senate president, have expressed support for Weaver, others are calling for his recall. NB: This article was originally published by American Free Press on October 18, 2015. Subscribe to America’s last real newspaper today!